After Arsenal beat Chelsea 3–0 way back in September, their seasons have taken drastically different trajectories. Chelsea went on to methodically reclaim the Premier League title while Arsenal finished outside the top four for the first time in nearly two decades, had calls for their manager to be sacked become the hottest meme both on Earth and in its skies, and were once again booted out of the Champions League by the club (Bayern Munich) rumored to be taking their best and most disgruntled player (Alexis Sanchez). 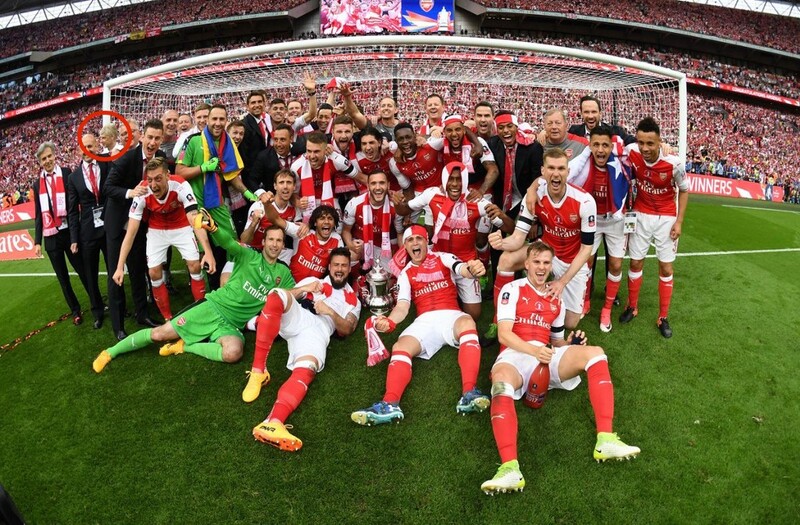 Given all this, it seemed like a foregone conclusion that Chelsea would complete their double in the FA Cup final and Arsenal would complete their unravelling. But when the two teams took the pitch at Wembley, it quickly became evident that they had both reverted to their September form. In the second half, it became more clear what was happening: Chelsea were purposefully letting a side that has been dramatically inferior for the last eight months win a bit of silverware to try and mask the deep stench of failure with a spritz of success in order to trick them into perpetuating that dramatic inferiority. 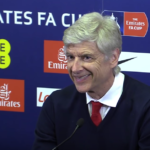 It’s been rumored for a while now that Arsenal’s board wants to extend Arsene Wenger’s contract, but just haven’t had an opportunity to make that known without starting a meme-riot. A trophy would celebration would be that opportunity, though. And Antonio Conte knew this. Chelsea’s efforts grew brazen. Victor Moses, already on a yellow card, earned a second for diving and was sent off. For diving. Down to 10 men, it appeared Chelsea’s plan was guaranteed to work. But Wenger’s powers of self-sabotage proved strong. His decision to start David Ospino in goal rather than Petr Cech resulted in Ospino buggling in a Diego Costa shot in the 76th minute to let 10-man Chelsea equalize. This forced the Blues to again risk accusations of blatant match fixing by immediately letting Arsenal score again. This proved to finally be enough for Arsenal and they won 2–1. The result gives Arsene Wenger a record seven FA Cups—as many as Chelsea have won in their entire history—and a record 13 for Arsenal. Now it could be asked how you could force out a manager who has won the third most important trophy available to him so many times. 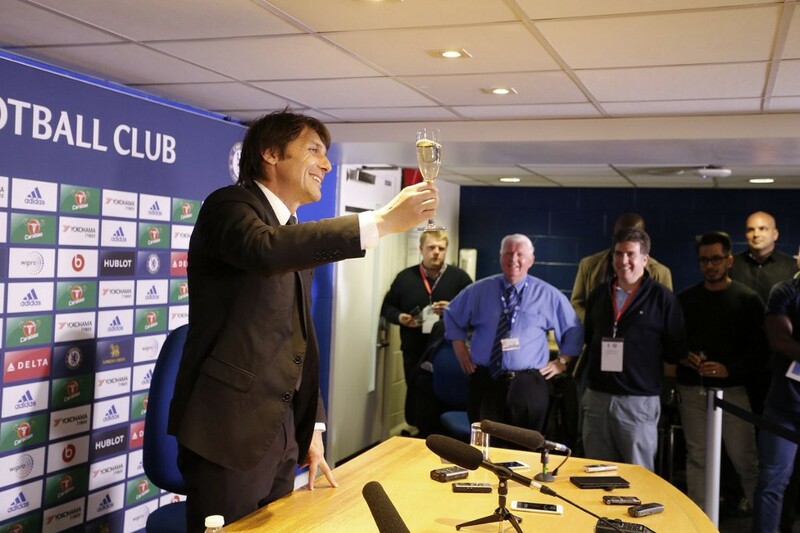 Conte mission: Accomplished. But after the match, Wenger cast doubt as to whether he would stay. Before he match, he said he never keeps his medals and trophies, always giving them away to others at the club. After the match, he said he would keep this one. If I’m still here next season.” “They can have a word to say next year.” “For once I’ve kept my medal, it’s a special night for me. I don't think Wenger thinks he's staying. Of course, this could just be an attempt to trick the “Wenger Out” campaigners into momentarily abandoning their crusade to celebrate this accomplishment before he smites them by signing a lifetime contract. Deception: The true magic of the FA Cup.